Sweet vintage flats! 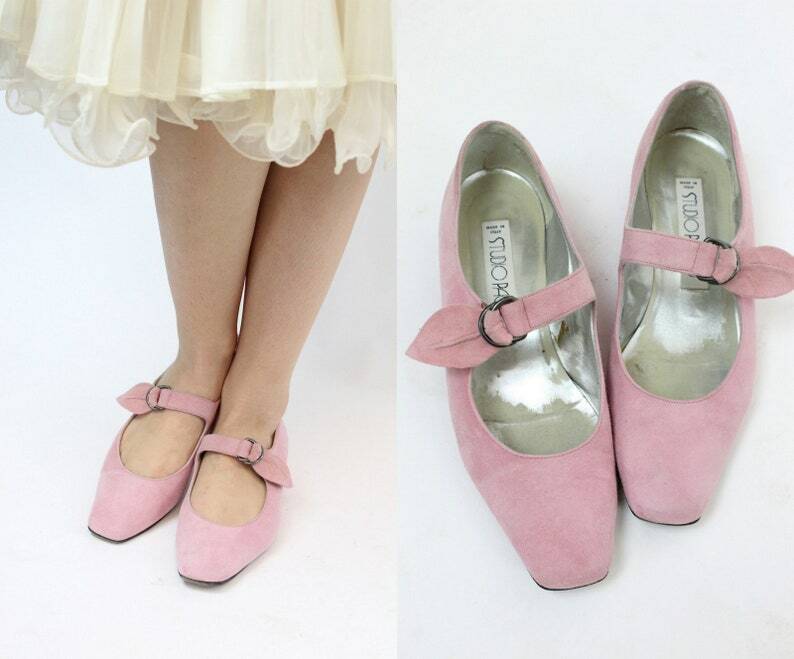 Done in a blush pink with slightly squared toe, ankle strap with d-ring buckle and wired petal shape at the end of strap! Lined in silver. Made in Italy. Leather soles. Condition: Very Good Vintage: some cracking on the silver liner, does not affect wear. Length Toe to Heel: 9-7/8"
Width Widest Part of Sole Inside: 3"